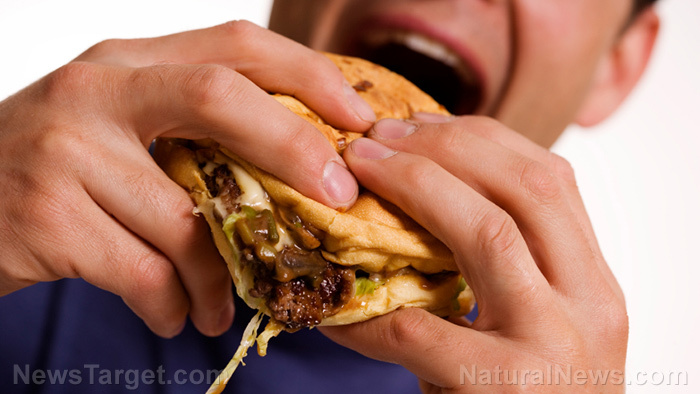 (Natural News) There are many lifestyle and dietary factors than can lead to chronic liver inflammation, and one of them is a Western diet. According to a new study, this particular diet, which is rich in saturated fats and refined sugars, can increase the chances of developing hepatic inflammation, especially among males. If left untreated, the condition may progress into more advanced liver diseases such as cancer. Led by Professor Yu-Jui Yvonne Wan, vice chair of the Department of Pathology and Laboratory Medicine at UC Davis Health, researchers utilized a farnesoid x receptor- or FXR-deficient mouse model for their study. FXR is also known as bile acid receptor (BAR) and plays an important role in the homeostasis of bile acids, glucose, and lipids. Patients with liver cancer or cirrhosis, the irreversible scarring of the liver, typically have low FXR levels, hence the importance of this mouse model in understanding the impact of diet and inflammation on the development of liver diseases. The FXR-deficient mice, as well as wild mice, were put on either a Western diet or a matching control diet over the course of 10 months. Broad-spectrum antibiotics were included as well to analyze their effects on gut microbiota, and subsequently on liver inflammation. By the end of the study, the researchers discovered similarities between FXR deficiency and Western diet intake. Both Western diet-fed wild mice and control diet-fed FXR-deficient mice accumulated fat in their livers, a development that was more severe in the male mice. Additionally, wild mice that had been given a cocktail of ampicillin, vancomycin, neomycin, and metronidazole displayed few signs of liver inflammation. The same could not be said for the FXR-deficient mice that were fed a Western diet, however. The researchers found that pro-inflammatory Proteobacteria and Bacteroidetes continued on even after the mice were given broad-spectrum antibiotics. Conversely, the Western diet-fed mice that were given pro-Firmicutes antibiotics had experienced decreased liver inflammation. Thus, the detrimental effects of Western diet on the liver may partly lie in the diet decreasing the amount of anti-inflammatory, friendly gut bacteria while simultaneously encouraging the growth of pro-inflammatory gut bacteria. In fact, a 2013 study found that one way that friendly gut bacteria protects the liver is by preventing the uptake of lipopolysaccharides into the intestines. As a result of this, the liver is relieved of irritation and stress, as lipopolysaccharides are bacterial toxins that have been linked to obesity. To read up on even more news about diet and health, simply visit Slender.news today.